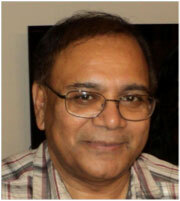 Habib Zafarullah is Associate Professor of Sociology with a background in Political Science and Public Administration. His research and teaching interests include: public/social policy, globalisation, international development, democratisation and civil society, comparative bureaucracy and public management. He seeks to integrate theory and practice in his research and looks at issues from a pro-people perspective. He believes in an inclusive holistic approach for poverty-stricken countries and argues for a strong public-private nexus in development. Habib Zafarullah's expertise and research interests cover democratic governance, public and social policy, and international development with a focus on South and Southeast Asia. Zafarullah, H. (2016) ‘Public Administration and Bureaucracy’, in A. Riaz and S. Rahman eds., Routledge Handbook of Contemporary Bangladesh. Routledge, 94-108. Zafarullah, H. (2015) ‘Network Governance and Policy Making: Developments and Directions in Asia’, in Jamil, I., S.M. Aminuzzaman, S.T.M. Haque eds., Governance in South, Southeast, and East Asia - Trends, Issues and Challenges. Springer International, pp. 45-63. Zafarullah, H. (2015) ‘The Governmental Machinery in Bangladesh’, in N. Ahmed ed., Forty Years of Public Administration and Governance in Bangladesh. Dhaka: University Press Ltd., pp. 91-108. Huque, A.S. and H. Zafarullah. (2015) ‘Public Administration as an Academic Discipline in Bangladesh’, in N. Ahmed ed., Forty Years of Public Administration and Governance in Bangladesh. Dhaka: University Press Ltd., pp. 33-47. Zafarullah, H. (2014). Colonial Bureaucracies: Politics of Administrative Reform in Nineteenth Century Australia. Boca Raton, FL: Universal Publishers. Huque, A.S. and Zafarullah, H. (2014) 'Public Management Reform in Developing Countries: Contradictions and the Inclusive State', in Charles Conteh and Ahmed S. Huque eds., Public Sector Reforms in Developing Countries: Paradoxes and Practices. Routledge. 2014, pp. 3-14. Zafarullah, H. (2013). 'Bureaucratic culture and the social-political connection: The Bangladesh example', International Journal of Public Administration, 36(13), pp. 932-939. Zafarullah, H. and Huque, A.S. (2012) Managing Development in a Globalized World: Concepts, Processes, Institutions. CRC Press/Taylor & Francis. Zafarullah, H. (2011). 'Public Management Reform' in I. Jamil et al (eds.) Multi-level Governance and Public Policy in Bangladesh. North-South University Press. Zafarullah, H. (2010) 'Policy and Politics of Preference: The Quota System in the Bangladesh Civil Service' in J. Vartola et al (eds.) Towards Good Governance in South Asia. University of Tampere Press. Zafarullah, H. and Huque, A.S. (eds.) (2006) International Development Governance. CRC Press/Taylor & Francis 2006. Zafarullah, H. and Khan, M.M. (2005) The Bureaucratic Ascendancy: Public Administration in Bangladesh—The First Three Decades. South Asian Publishers.